They say times flies when you’re doing what you love. 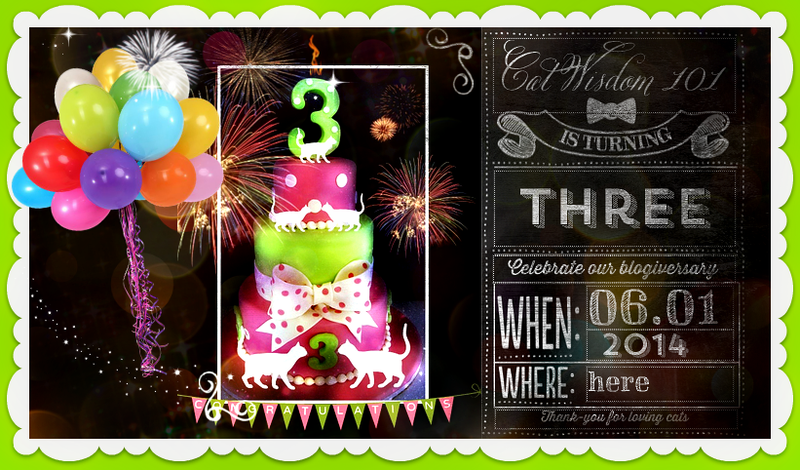 Well, time has flown by, four years to be exact since launching Cat Wisdom 101. After 1288 posts, thousands of images, comments, follows and 2 million views, we’re still here to enlighten and entertain cat lovers. It’s what we do and we love you for having been a part of the journey. Thank-you for very single comment, follow and like. Thank-you for the incredible friendships and support on and offline. Purrs of thanks too to our sponsors and guest bloggers. 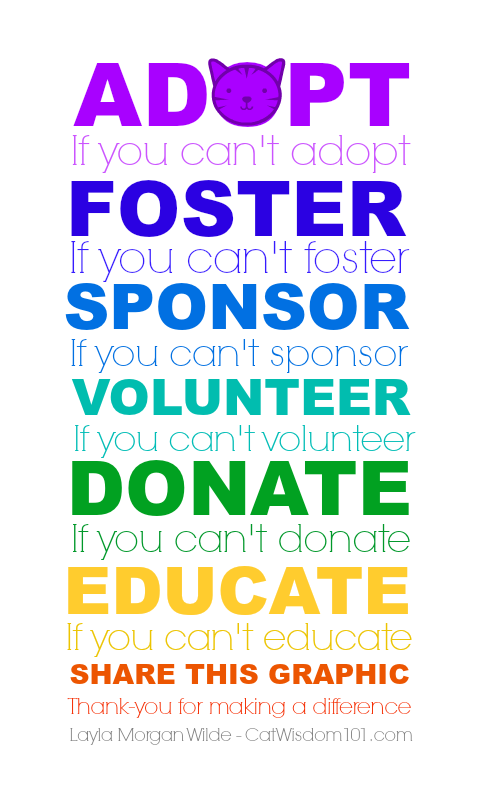 We created this special graphic to share because we can always do something. 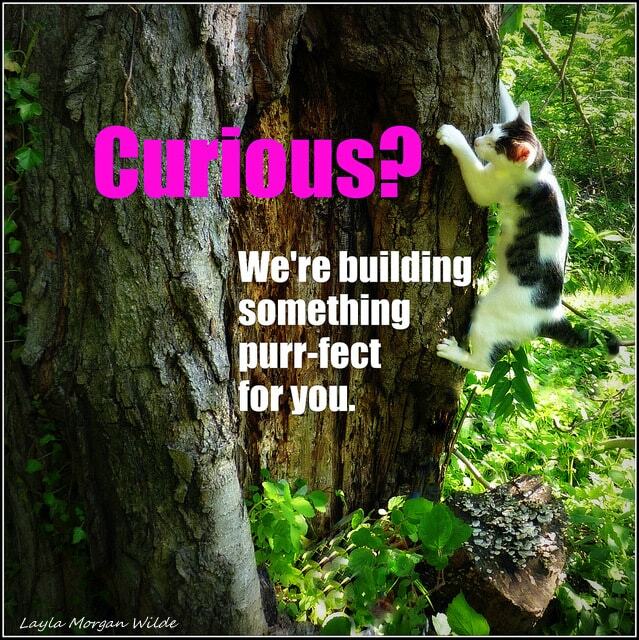 Together, we have helped make a difference in the lives of cats, one purr at the time. There is a 10,000 hour rule that purports that we achieve mastery with a deliberate focus on any skillset for 10,000 hours. 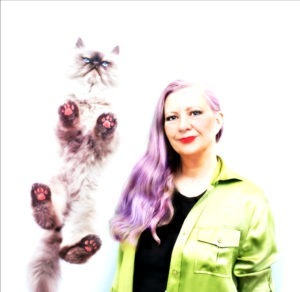 When I started this blog as an off-shoot of Cat Saturday from my other blog Boomer Muse, I’d already worked with cats for years, and thought I knew cats and cat lovers pretty well. I was wrong. After spending over 10,000 hours over the past 4 years devoted to all things cat, I’m beginning to feel I know a little bit more and yet the only thing I know for sure is: cats defy being wholly known. I’ve experienced exceptions to every rule and remain more in awe than ever of the feline world. It would be foolish to predict where I’ll be in another four years but blogging is responsible for the alchemy that fired my soul towards my life purpose of helping cats and those who love them. Join us for short trip down memory lane. 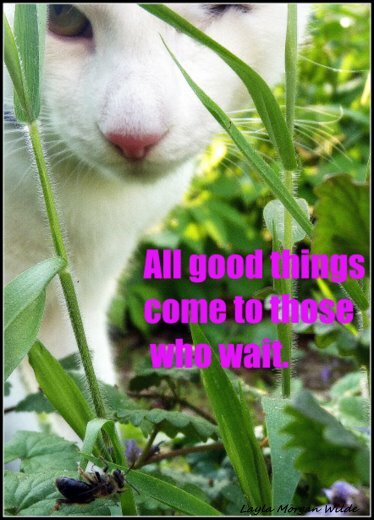 Our Cat Wisdom 101 journey began on May 27, 2011 with a series of teasers. Odin was and still is the master tree climber. Our garden remains a refuge when stress rears its unruly head. 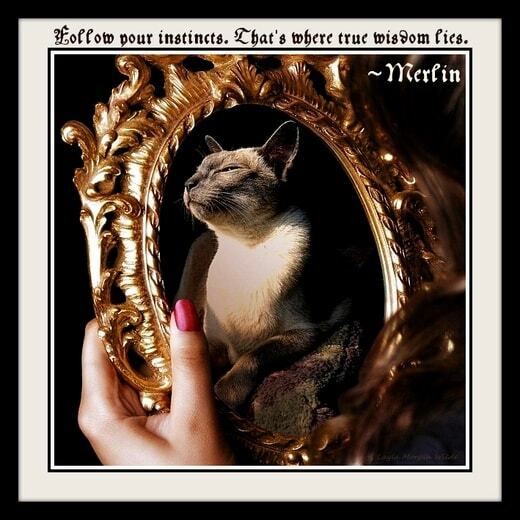 And who knew wise, old Merlin would grow even older and wiser? A year later in 2012, we took stock about the effort it took pumping out a staggering amount of original content. In those days we blogged 7 days a week plus 5 days a week at Boomer Muse. Serious blogging is not for the feint of heart. It requires passion bordering on madness. It also takes wisdom to know when to back off, re-prioritize and do less. We streamlined last year but added new responsibilities like editing the CWA blog and writing for new channels. On our 2nd blogoversery it was still, all cats, all the time. For some reason we celebrated out 3rd blogoversery on June 1, 2014. It also marked Odin’s birthday and the day first day I got serious about helping hoarder cats at the shelter. Their plight inspired me to dig deeper into the roots of compassion and not judgement in the face of cruelty. This rescued hoarder cat had suffered the most horrifically and was fostered soon after the rescue. Even today, I’m can’t stomach writing down the details of what this cat endured. All I can do is educate and share the message of animal advocacy. 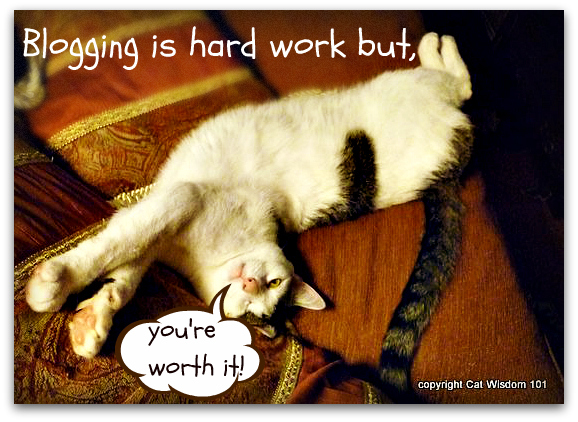 Blogging and social media is a powerful tool to make a difference in the lives of cats and all animals. 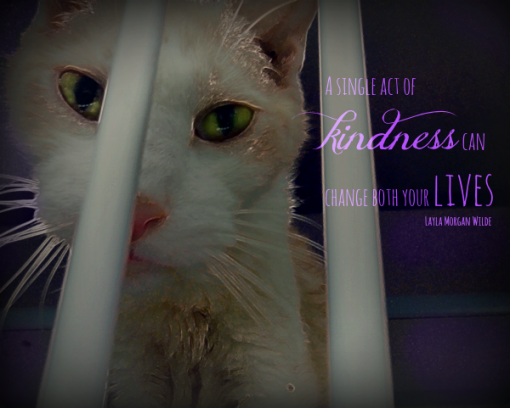 The weekly adoption PSAs I create are proof of that. We are continuing to fundraise for our emergency veterinary fund for shelter cat Radish. See our post last week for details. Thank-you for loving cats and supporting the Cat Wisdom 101 community in any way from subscribing, to sharing to volunteering in your neighborhood. Every positive thought and maction helps. We can’t save every cat but we can save one. UPDATE: Radish is having a complete diagnostic exam today! Belated Happy 4th Blogoversary to you! I hope there will be many more. Happy 4th Blogoversary! Iys always fun to visit and of course see the kitty adventures. Hoping for good news on Mr Radish he is such a lovely ginger boy. Mes did not knows me had been online longer than yous guys! Loves the pictures of yous Merlin!!!! Thanks and purrs dearest Nellie and extra smoochie from Merlin! HAPPY FOURTH BLOGAVERSARY!!!! 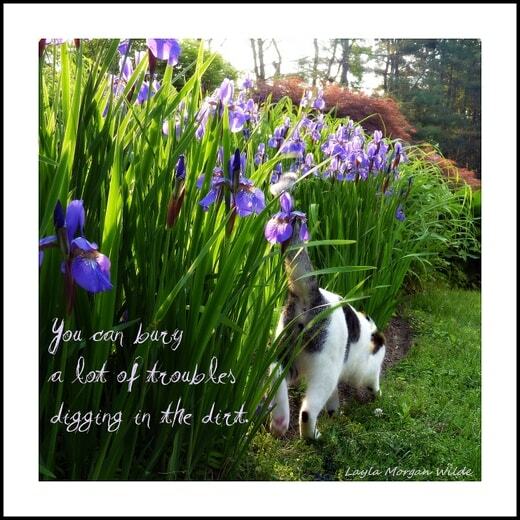 You all have always been one of our favorite blogs…..for information, for suggestions and advice, for beautiful photography, for your sincere LOVE of cats and a million other reasons. Thank you for being friends of ours too………we hope you go on and on and on……. Thanks Sam and Pam, you’re the best! Thanks kindly Athena and Marie! Happy blogoversary! My human says she had a great time being on the panel with you today. Thanks and it was so fun doing the presentation. See you tomorrow! Thanks so much dear friends. Hugs to you! Thank you for being a Voice for the Voiceless! Thanks so much Joanne. It’s an honor. Congratulations and Happy Anniversary to you. Well done. A huge and happy wish for your 4th blogoversary! You do such amazing graphic work and your posts are always professional and well done. All the work you’ve done to help cats in need is priceless. I hope you can continue to follow your passion. Thanks so much dear friends (kitty and human) for your kind words. We thank you for all of the wonderful mews and news and help. We thank you for sharing your lives with us. We continue to Purr and Pray for every little soul out there. There is so much wrong in the world that it sometimes becomes hard for those of us that care to see the right. You help us do that. Purrs and Kitty Kisses to you all! Thanks so much dear friends. I’m humbled that you think that. Thanks so much Austin and mum. Ditto! Congratulations on your 4th Blogiversary, Layla—wishing you many, many more! I love visiting your site and appreciate all that you do for kitties and the humans who love them! Happy BLOG-O-VER-SARY dear MissLaylaMerlinOdinDominoNouNouAngelCocoand AngelGris-GRIS….. Happy 4th Blogoversary! Thank you for all the fun, informative, inspiring posts you deliver! Thanks so much! That’s an old fave of mine in Merlin’s younger days. Happy blogoversary and wishing you many, many more! Happy Blogoversary from all of us! Have fun at BlogPaws!!! Thanks so much Brian. We’re missing you! Happy Blogoversary!! !I plan to donate to Radish, I just don’t have any available funds at the moment. Happy anniversary and thanks for all you do here. I’ll be holding good thoughts for Radish today. Hope you have fun at Blogpaws. Blogpaws is fun but exhausting and Radish is under the best care. Those are the best wishes, thanks! Hope things go positively for Radish today! It’s not great but coud be worse. Thanks, that I’d love to see! Congratulations on your 4th blogoversary. We wish you many more blogging years ahead! Lovely beautiful post and I am very happy Radish is having a complete exam today! Happy Blogoversary! Thanks for all you do to help the cats and to inspire we humans. Happy Happy 4th Blogoversary to you!!!!!! Heard you arrived late yesterday…miss you ALL already!! !